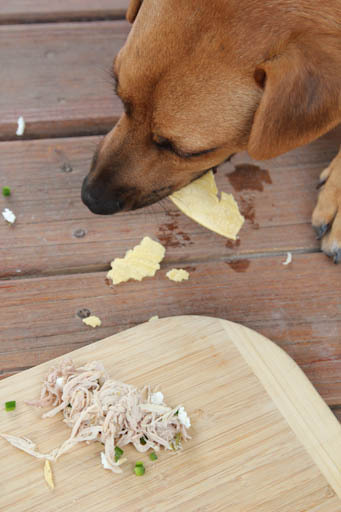 So these shredded pork were enjoyed by everyone in the family. 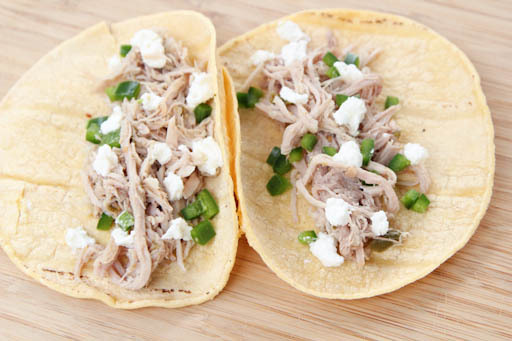 This shredded pork was cooked with a few ingredients…garlic powder, ground cumin, green salsa, diced jalapeños and a dash or two of salt and pepper. Really, these had just the right amount of kick without being too spicy for the boys AND the baby. He shoveled the pork right on in and enjoyed it immensely. Next time I’m making these (I have another roast in the freezer! ), I’m going to top them with a sweet pineapple cole slaw…if it’s as great as it sounds in my head (think sweet meets spicy), I’ll share the recipe in the next week or two! Once the cooking time is complete, shred the pork with 2 forks and remove from the slow cooker with slotted spoon when ready to serve. 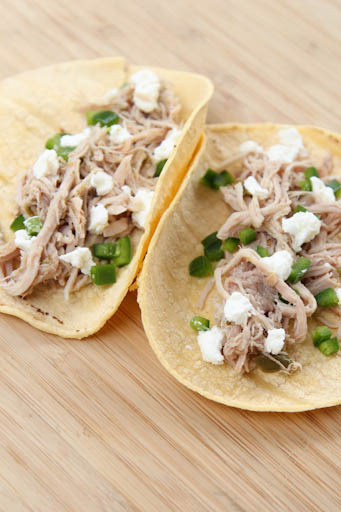 Serve Salsa Verde Shredded Pork Tacos on corn tortillas with preferred toppings. Freeze leftover cooked shredded pork roast in a freezer bag with the excess air removed. Freeze. Thaw and reheat to serve. I bet this would be awesome chicken as well. Yum!